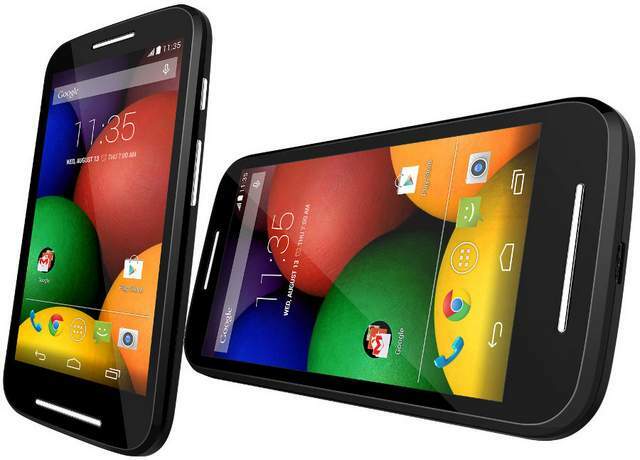 Motorola Moto E XT1022 has been launched in India at Price of RS 6,999. Stay tune we will be soon coming with Motorola Moto E Review & Unboxing. The Moto E comes with some vigorous specifications at this price tag. It would compete with recently launched Videocon A29 and Karbonn Titanium S1 Plus , both of which comes under 7K and has 4-core CPU plus 1GB of RAM. The new Moto-E has 4.3 inch qHD display with corning gorilla Glass 3 protection on the TOP. It gains the strength from dual core Snapdragon 200 CPU accomplished with 400 MHz GPU, to improve benchmarks & gaming performance. The handset is Cheaper than Moto G. It is a Dual SIM smartphone with Dual standby. It runs on Google’s latest Android 4.4 Kitkat operating system. It lacks the front camera & flash but has 5MP rear shooter to please the user. It is 12.3 mm thick and weighs 142 grams. To make the Motorola Moto E snappy there is 1 Gigs of RAM and 4Gigs of internal storage. It offers up to 21.1 Mbps of downloading speed and up to 5.76 Mbps of uploading speed. The Moto-e has Accelerometer, Proximity & Ambient light sensor. It also features with Single White LED for notifications & comes with 1year of manufacturer warranty. 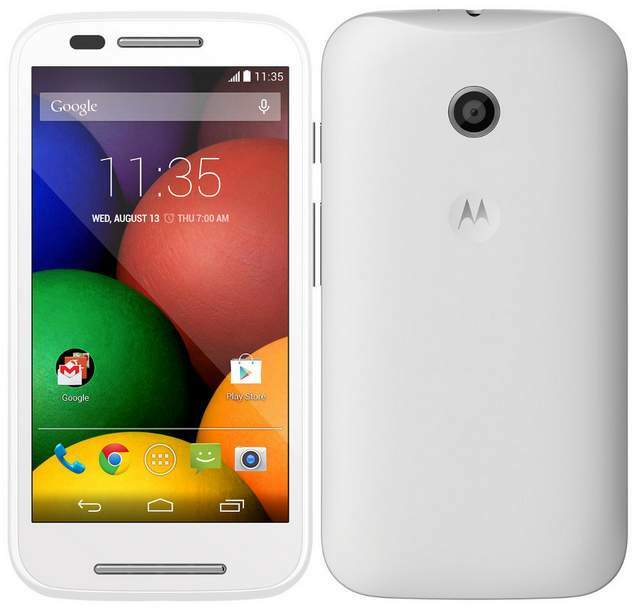 The Moto E is available in Black & white colors. You can buy it from Flipkart India, EMI options are also available. Apart from this you can also purchase Back covers and Grip Shells. Buy Moto E Black and Moto E White.